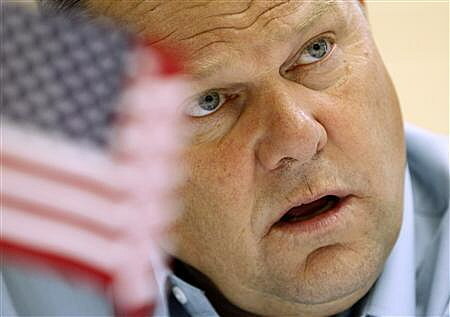 Sen. Jon Tester this week asked the secretary of Veterans Affairs to hire an additional employee in Montana to process reimbursement payments for veterans who travel to and from their doctors’ visits. Tester said VA Montana has been unable to hire an additional claims processor because of the hiring freeze implemented by the Trump Administration earlier this year. Because of the freeze, Tester said, the backlog of travel claims in Montana has grown to over 8,000 and some reimbursement claims are now six weeks old. Veterans have said they are not given receipts from automated travel pay kiosks at the VA, or after they visit the travel pay office in person. Without the receipts, Tester said, Fort Harrison has no record of their claims. “This is inexcusable, and I’m sure you would agree that no veteran should leave a VA facility without proof of the claim they have filed,” Tester wrote in his letter. The very first bill that Tester got signed into law as a U.S. Senator was legislation to increase the travel reimbursement from $0.11/mile to $0.285/mile. The current reimbursement rate is $0.415/mile.